Great job! The global environment was empty. Objects defined in the global environment can affect the analysis in your R Markdown file in unknown ways. For reproduciblity it’s best to always run the code in an empty environment. The command set.seed(12345) was run prior to running the code in the R Markdown file. Setting a seed ensures that any results that rely on randomness, e.g. subsampling or permutations, are reproducible. Great job! Recording the operating system, R version, and package versions is critical for reproducibility. html 3144b03 John Blischak 2018-05-18 Build site. Rmd d4e2da5 John Blischak 2018-05-18 Add code comments and save plots for slides for ch01. Rmd 645a9dc John Blischak 2018-04-06 Minor edit. html 201bbf1 John Blischak 2018-04-06 Build site. Rmd 3571e14 John Blischak 2018-04-06 Save intermediate data files. Rmd 0c36646 John Blischak 2018-04-06 Continue working on ch01 exercises. Rmd 0536832 John Blischak 2018-04-06 Start using new simulation for ch01. html 543057b John Blischak 2018-02-23 Build site. Rmd f3df390 John Blischak 2018-02-23 Work on linear models slides. Rmd 13eba3e John Blischak 2018-02-16 Document simulation functions. Rmd 0d41ace John Blischak 2018-02-16 Improve the plots’ readability and cross-comparability. Rmd 5fff9c0 John Blischak 2018-02-16 Use explained versus residual sum of squares since it is more straightforward. Rmd b62ae8e John Blischak 2018-02-16 Work on plots to build intution for linear regression. Rmd aa45d23 John Blischak 2018-02-16 Refactor code to create a synthetic data set for ch 01. Rmd 7f3b194 John Blischak 2018-02-12 Some ch01 exercises. Rmd 1638971 John Blischak 2018-02-12 Spell check. Rmd 804cd26 John Blischak 2018-02-10 Start transcript for ch01 video on linear models. Cover the basics of the biology and the statistics. Describe a simple model of gene regulation (transcription factors, DNA, RNA, protein) and the functional genomics technologies used to measure the various features. Focus on the type of data they return (continuous vs. discrete). Choose which is true. The options will be various combinations of genomics technologies, what they measure, and the type of data they return. For example, “Microarrays measure RNA levels and return continuous data. ChIP-seq measures transcription factor binding to DNA and returns discrete data.” is true. 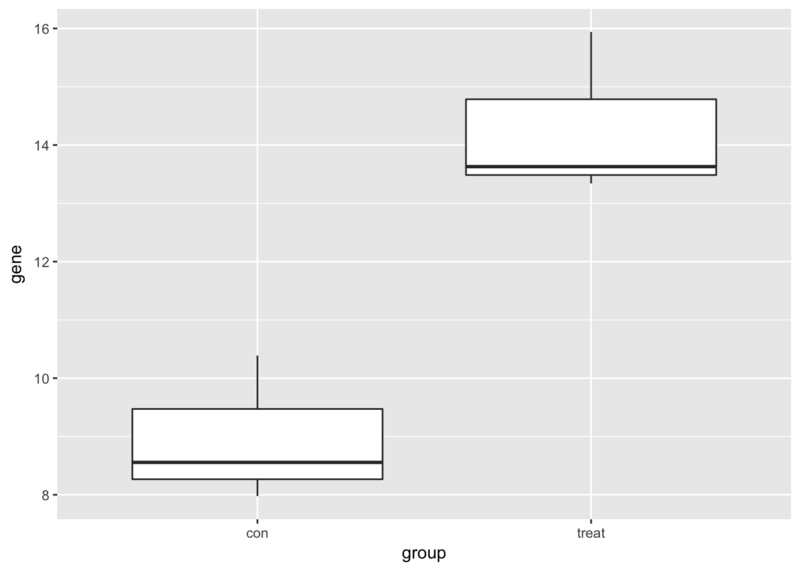 Visualize one differentially expressed gene with boxplots (geom_boxplot). 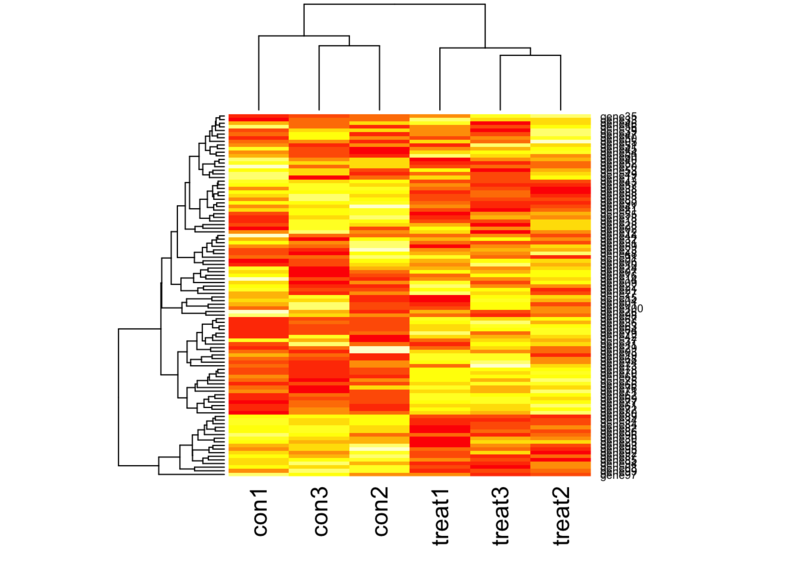 Visualize many differentially expressed genes with a heatmap (stats::heatmap). Review the basics of multiple linear regression (dependent vs independent variables, continuous vs discrete covariates, intercept term, error term). 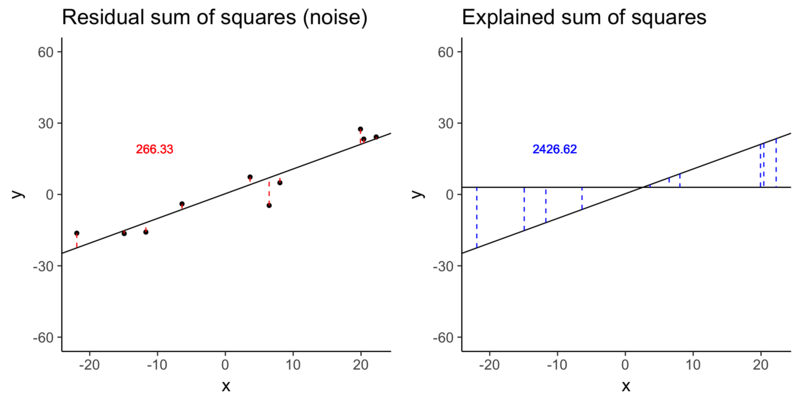 Demonstrate how to specify equations in R (e.g. lm and model.matrix). 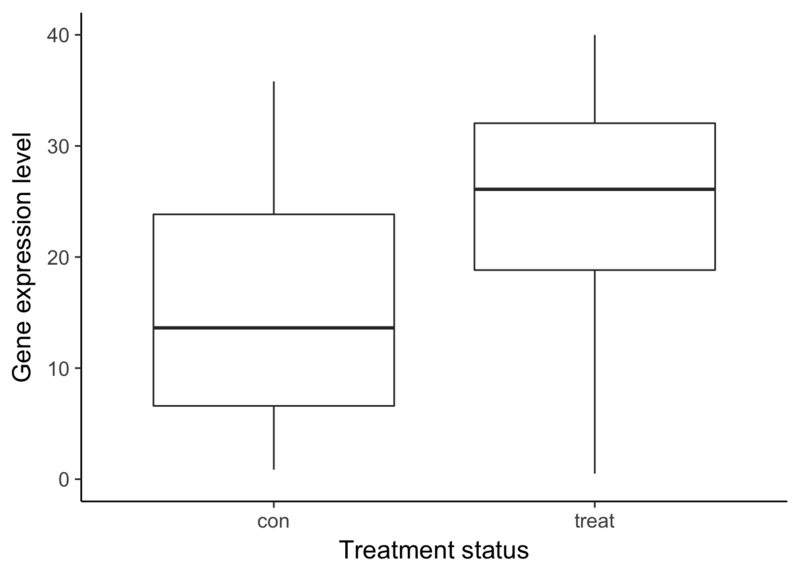 Warning: Removed 1 rows containing non-finite values (stat_boxplot). Warning: Removed 8 rows containing non-finite values (stat_boxplot). Transcript: As you just visualized, differential expression describes the situation in which a gene has a different mean expression level between conditions. While some gene expression patterns are easily diagnosed as differential expression or not from a quick visualization, you also saw some examples that were more ambiguous. Furthermore, you need a method that is more robust than a quick visual inspection and also scales to thousands of genes. For this you will use the tools of statistical inference to determine if the difference in mean expression level is larger than that expected by chance. Specifically, you will use linear models to perform the hypothesis tests. Linear models are an ideal choice for genomics experiments because their flexibility and robustness to assumptions allow you to conveniently model data from various study designs and data sources. 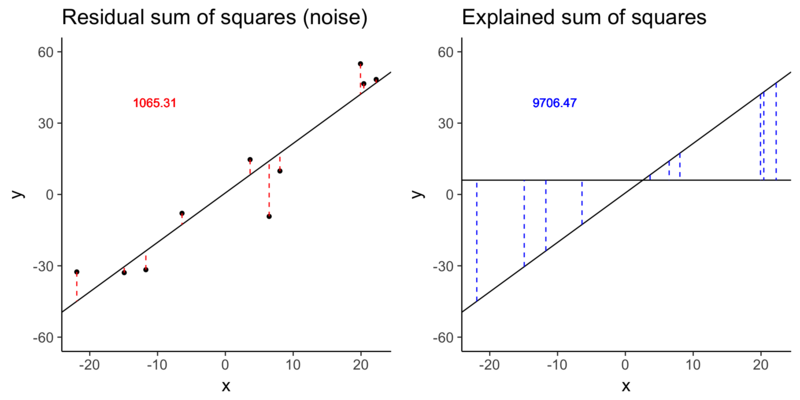 You should have already been introduced to linear models, for example in a DataCamp course such as Correlation and Regression, or in an introductory statistics course. Here I’ll review the terminology we will use in the remainder of the course, how to specify a linear model in R, and the intuition behind linear models. In this equation of a linear model, Y is the response variable. It must be a continuous variable. In the context of differential expression, it is a relative measure of either RNA or protein expression level for one gene. \(X_1\) is an explanatory variable, which can be continuous or discrete, for example, control group versus treatment, or mutant versus wild type. \(\beta_1\) quantifies the effect of the explanatory variable on the response variable. Furthermore, we can add additional explanatory variables to the equation for more complicated experimental designs. Lastly, models the random noise in the measurements. 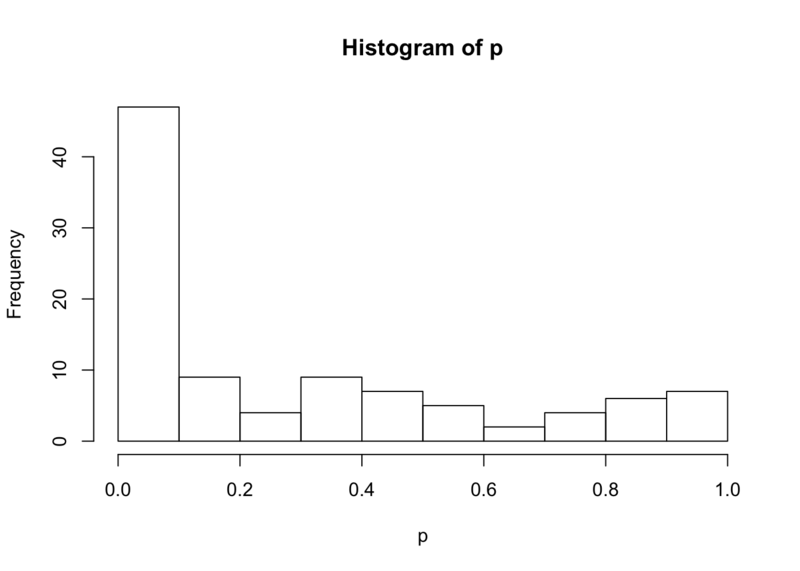 In R, you specify a linear model with the function lm. This uses R’s formula syntax. On the left is the object that contains the response variable, and to the right of the tilde are the objects that contain the explanatory variables. A second explanatory variable can be added with a plus sign. 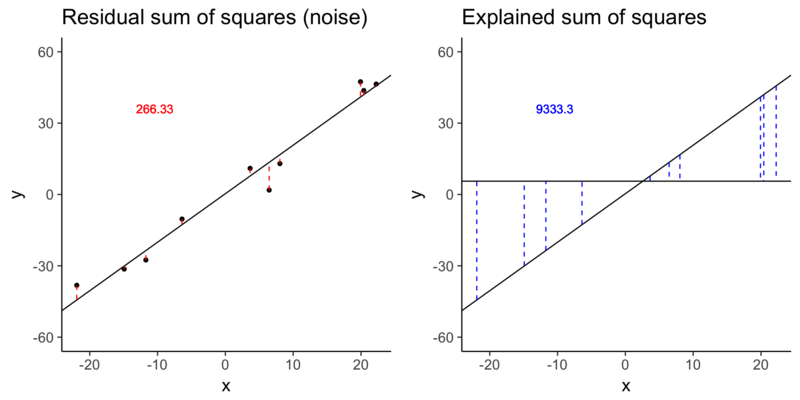 # Simulate a linear regression. Run lm on one gene. Use for loop to run lm on many genes (exact number of genes will be determined by 5 sec time limit for DataCamp exercises). 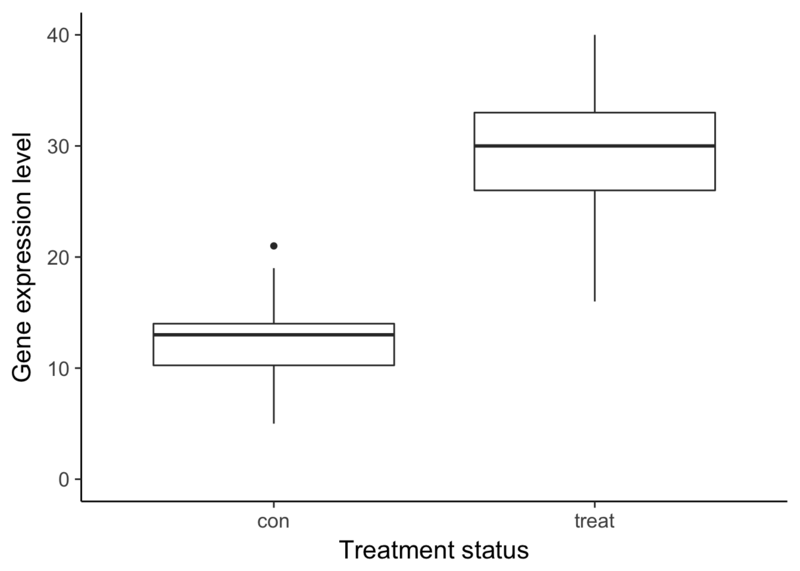 "con"   "con"   "con"   "treat" "treat" "treat"
Use geom_point to plot effect size versus variance and color by statistical significance. Explain the advantages of using limma for functional genomics experiments over traditional linear models: 1) share information across genes to reduce uncertainty of variance, 2) flexible system for specifying contrasts of interest, 3) integrated into standard differential expression workflow. Introduce a limma workflow diagram to orient the individual steps in the following chapters within the larger analysis. Run pre-written limma code to easily test thousands of genes. 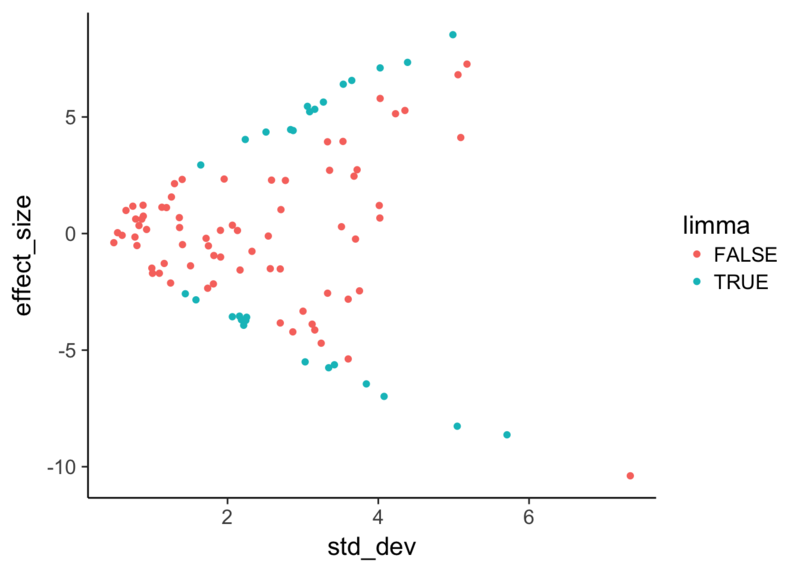 Visualize the gene expression pattern of a gene called DE by a traditional linear model but not by limma.